Amersham is a market town 27 miles north west of London, in the Chiltern Hills, England. It is part of the London commuter belt. Amersham is split into two distinct areas: Old Amersham, set in the valley of the River Misbourne, which contains the 13th century parish church of St. Mary's and several old pubs and coaching inns; and Amersham-on-the-Hill, which grew rapidly around the railway station in the early part of the 20th century. Records date back to pre-Anglo-Saxon times, when it was known as Egmondesham. 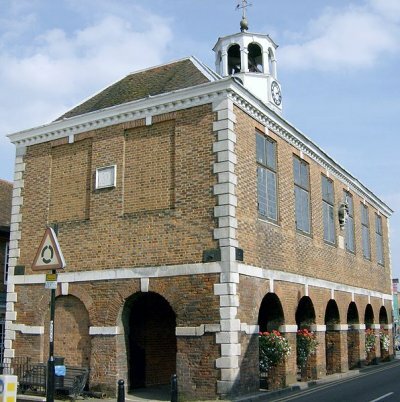 In 1200 Geoffrey, Earl of Essex obtained a charter for Amersham allowing him to hold a Friday market and a fair on 7 and 8 September. In 1613 a new charter was granted to Edward, Earl of Bedford, changing the market day to Tuesday and establishing a statute fair on 19 September. 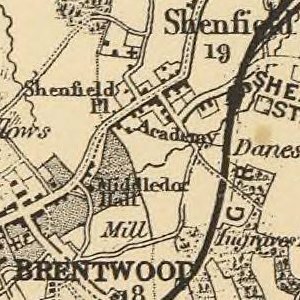 The area of the town now known as Amersham on the Hill was referred to as Amersham Common until after the arrival of the Metropolitan Line in 1892. After this date growth of the new area of the town gradually accelerated, with much work being done by the architect John Kennard). It is now known locally as the Top Town. Amersham is linked to London by the Metropolitan Line of London Underground and is the last station on the Metropolitan main line. Much of this line is shared with the mainline railway service, which runs from Marylebone to Aylesbury. The construction of the railway line was controversial at the time and objections from local landowners prevented its construction until 1892.